Where on Middle Earth do you start? LOTR:TCG has been out for several years now, and as it’s a deck building game, each new expansion adds more and more cards. Couple that with the fact that there a multitude of expansions, and this can quickly become quite bewildering to the new player. One important thing to note – LOTR:TCG is not a collectible card game. Each expansion pack has a fixed content, so you don’t have to collect absolutely everything in order to keep up with play. As the song says, the beginning is a good place to start – in fact, the one mandatory purchase for this game is the Core box. As well as the rules (although these, and an FAQ, are available online) the Core set contains cards and tokens that you will need throughout the game. Player Cards are actions, attachments and allies that players can use in the game. These cards form the card deck from which players draw. Player Cards are divided into four Spheres of Influence: Leadership, Lore, Spirit and Tactics. The Heroes in each Players group are each affiliated with a particular Sphere of Influence, and can only usually use cards from their own sphere during the game. Encounter Cards form the Encounter Deck during the game, and represent the locations, enemies, and circumstances that players have to confront during a Quest. These are subdivided into sets, with each Encounter Set having a particular theme, such as Spiders of Mirkwood, Dol Guldur Orcs or Sauron’s Reach. Quest Cards form the scenarios for the game, with each scenario usually consisting of two or three cards. The Core box contains 12 Hero Cards, and three scenarios to play: Passage Through Mirkwood, Journey Down the Anduin and Escape from Dol Guldur. The Deluxe Expansions for the game open up new areas to explore, whether that be the Mines of Moria, Isengard or Gondor. The quests in the game all happen during the events of the Third Age, as detailed in the Lord of the Rings books, but do not follow the main story. Each of these bigger box expansions contain three new Heroes, plus a selection of new Player Cards, several new Encounter Sets and Quest Cards for three new scenarios. They may also contain new rules, which are relevant to the new area of Middle Earth that the Players are exploring. The Player Cards in this box (plus those in associated Cycle expansions – see later) will use these new rules. I noted above that the Deluxe Expansions allow players to perform quests in Middle Earth, playing as characters from the Lord of the Rings, whilst not getting directly involved in the events of the books. However, what if you want to play the events that occur in The Hobbit, or the Lord of the Rings trilogy? The Saga Expansions allow you to do this. Whilst the Saga Expansions follow the same basic format as the Deluxe Expansions, the Quests included in each allow players to follow the events of the books. There are two Saga expansions each for The Hobbit, Fellowship of the Ring, The Two Towers and Return of the King, giving players the opportunity to travel to the Lonely Mountain with Bilbo, join the Fellowship of the Ring, fight at Helms Deep or Pelannor Fields, or climb Mount Doom to destroy the One Ring. These expansions are completely self contained, and you need nothing else, other than the Core Box, in order to play them. As well as the Deluxe Expansions, there are a large number of card packs available, known as Cycle expansions. Each of the expansions contains a single scenario made up of a number of Quest cards, along with a matching Encounter Deck. They also contain a single new Hero Card, and a number of new Player Cards to expand your abilities. It’s important to note that Cycle cards are NOT stand alone expansions, and you need the Core box and the Deluxe Expansion with which they are associated with in order to play them. The six adventures from this cycle keep the players in the area around Mirkwood. You will need the Encounter Sets from the Core Box in order to play these. These scenarios allow the players to explore the area of Middle Earth around Moria. You will need the Encounter Sets from the Khazad-Dum Deluxe box in order to play these expansions. The players travel to Gondor with this set of scenarios, which will require Encounter Sets from the Heirs of Numenor Deluxe Expansion. This series of adventures takes the players to the area surrounding Isengard, with Encounter Decks from The Voice of Isengard required to play. The players travel north to Angmar in this set of scenarios, which requires The Lost Realm Deluxe expansion in order to play. Explore the lands west of the Shire and the Sundering Seas in this set of scenarios, which need Encounter Sets from The Grey Havens in order to play. Travel south of Mordor to the land of the Haradrim with the latest set of scenarios. Encounter Sets from The Sands of Harad are needed for this cycle. As the LOTRTCG has expanded, not only have we seen a large number of extra scenarios created (a total of 87 from the expansions above), but also a huge number of extra Heroes and Player Cards. All these extra card combinations can make some of the existing scenarios much easier than they used to be. If you want to revisit these old Quests, but want more of a challenge, FFG have released Nightmare Decks for each scenario. These decks replace the existing Encounter Sets with different creatures and locations, making each quest much harder than originally published. Nightmare decks exist for the Deluxe, Saga and Cycle expansions. FFG have been running Lord of the Rings Card Game events at GenCon for a number of years. These events consist of stand-alone adventures. All the Encounter Cards you require to play are included in a single deck of cards – hence the stand-alone nature of these packs. As you can see, though there is a massive variety of expansions to choose from, you can tailor your purchases depending upon what type of game you want to play, and what area of Middle Earth you wish to explore. 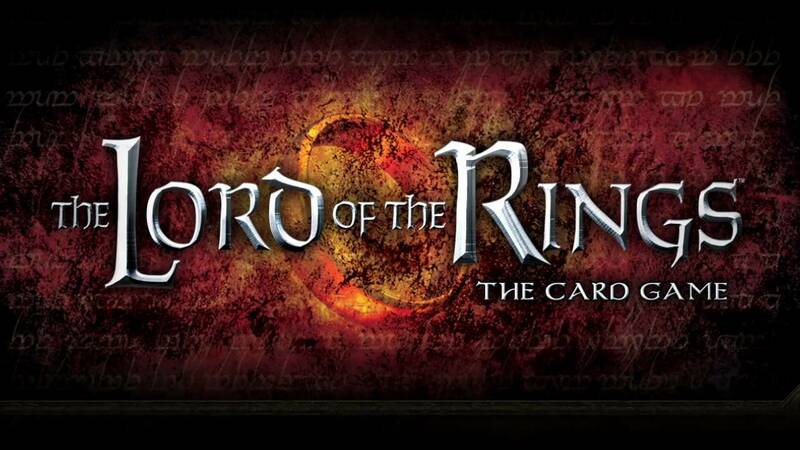 There is no doubt that Lord of the Rings: The Card Game provides players with an almost countless combination of Heroes, Abilities and Quests, making this a game you can play for years. Fantastic and comprehensive summary! Now I understand what it’s all about and, must be said, find it overwhelming. I’d no idea how deep or long this series had run. You should be paid for this! Far better than anything the company provides!